Facade systems EN - CDM Sp. z o.o. Facades mostly create the beauty and attractiveness of the building. They are the showpieces of buildings. 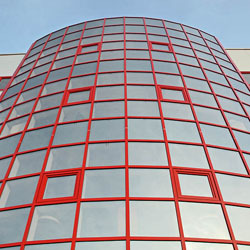 Facade systems are most commonly used to construct glass facades of public buildings. Also, they are suitable for single-family houses with modern architecture. Structural elements made ​​of laminated wood are an additional decoration to any interior. 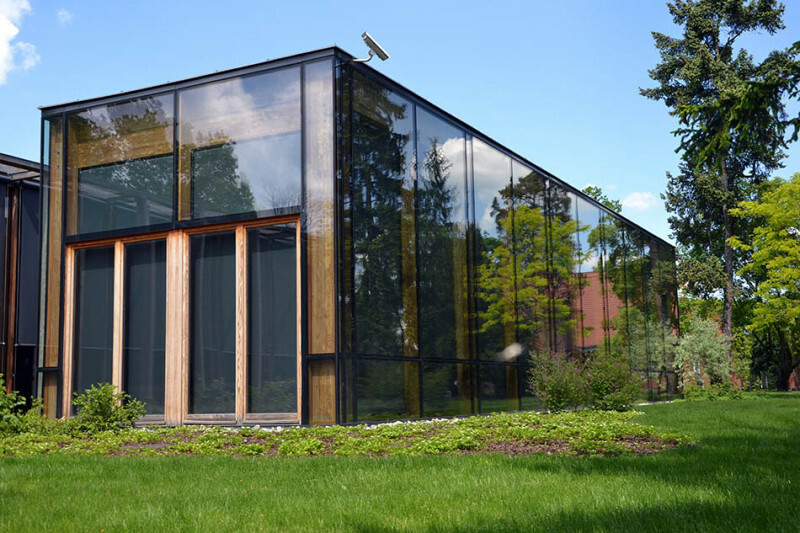 From the outside of a building, glass facades can be made in three different versions, thereby enabling appropriate selection of the structure, depending on individual preferences. Facade glazing is also used to create many spatial structures and roof glazing whose task is to provide appropriate amount of light to the interior of a building. This type of glass facades have become very popular and are now an essential part of the majority of new projects.